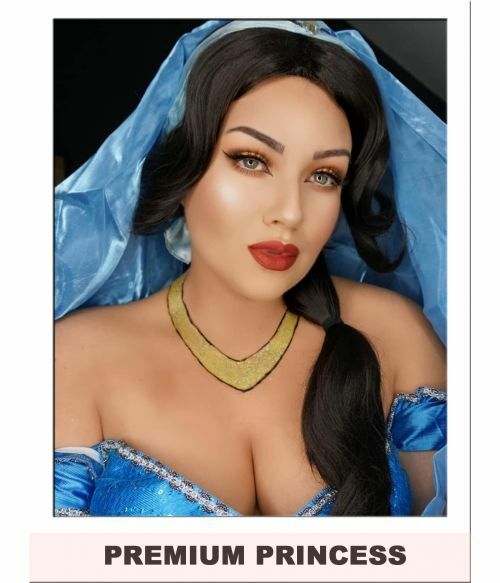 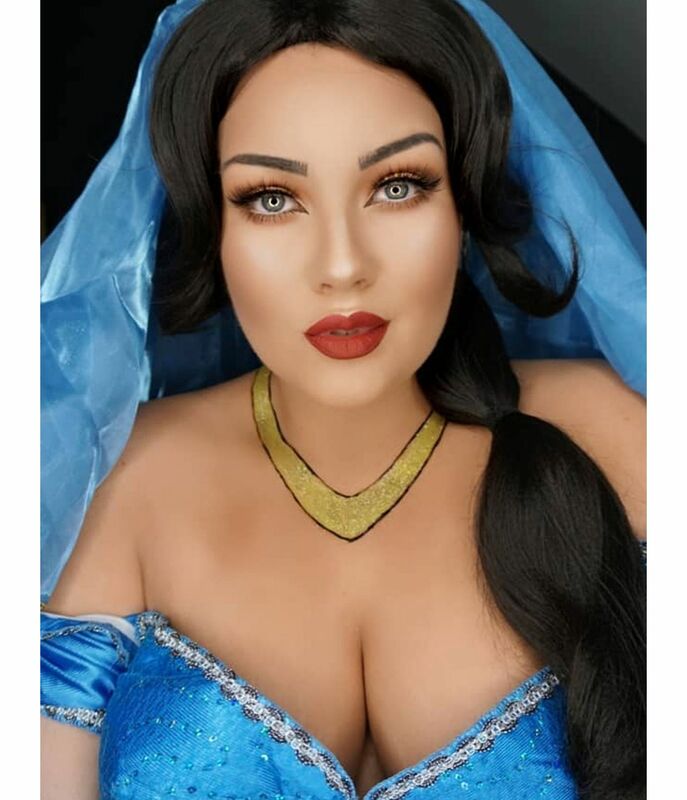 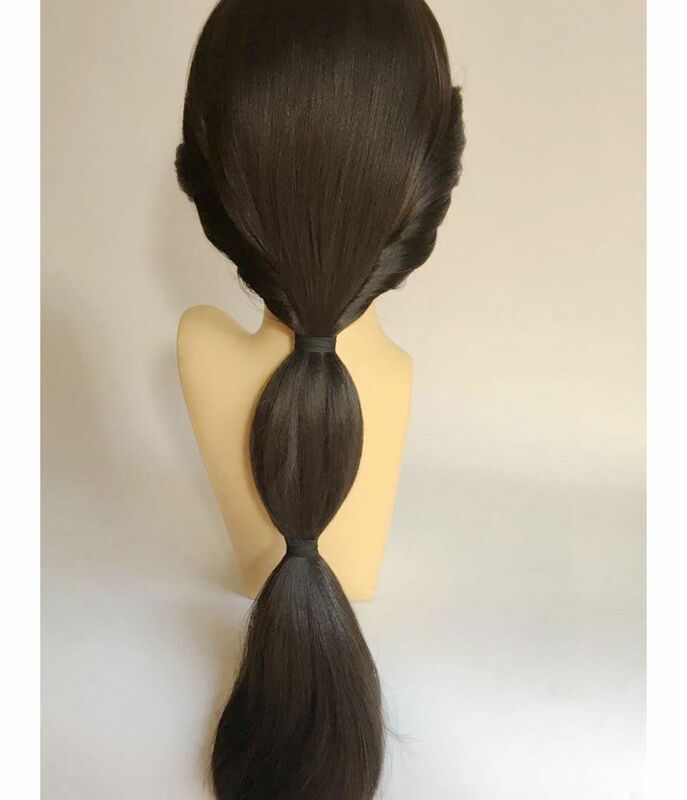 Exquisite Jasmine Wig, beautifully crafted to capture the unique style of the Disney Princess. 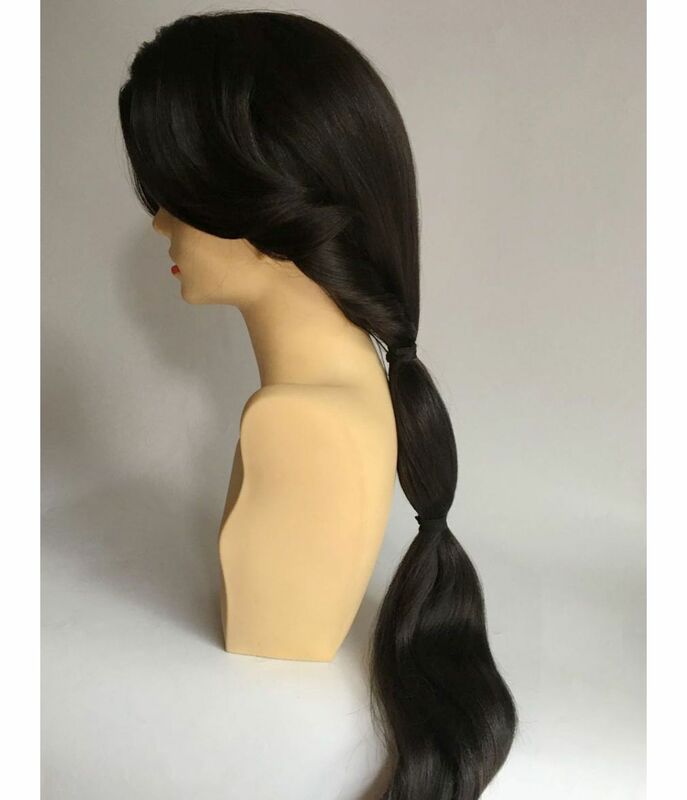 The luxuriant off-black hair flows through the bubble ponytail design measuring an extra long 30 inches. 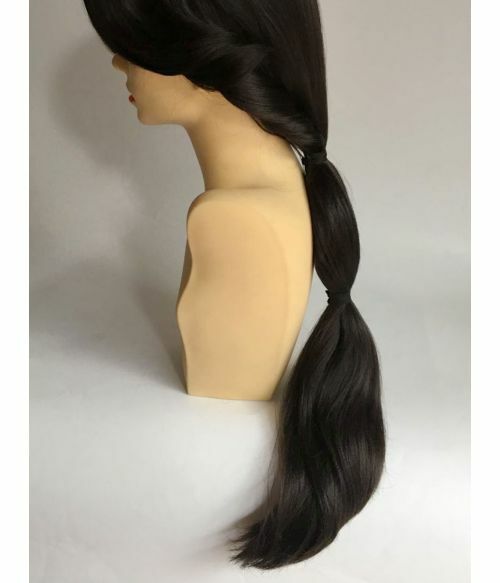 The side edge of the wig is cleverly concealed with a decorative twist of the hair lengths, folding neatly into the ponytail. 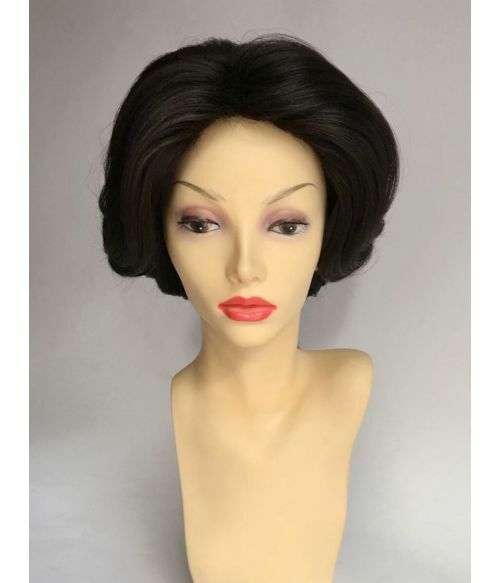 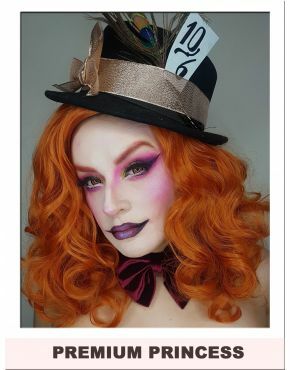 The oversized 'halo' effect bangs originate from a hand sewn, concealed parting line, covering the front edge of the wig with more than 2 inches of gloriously, thick hair. 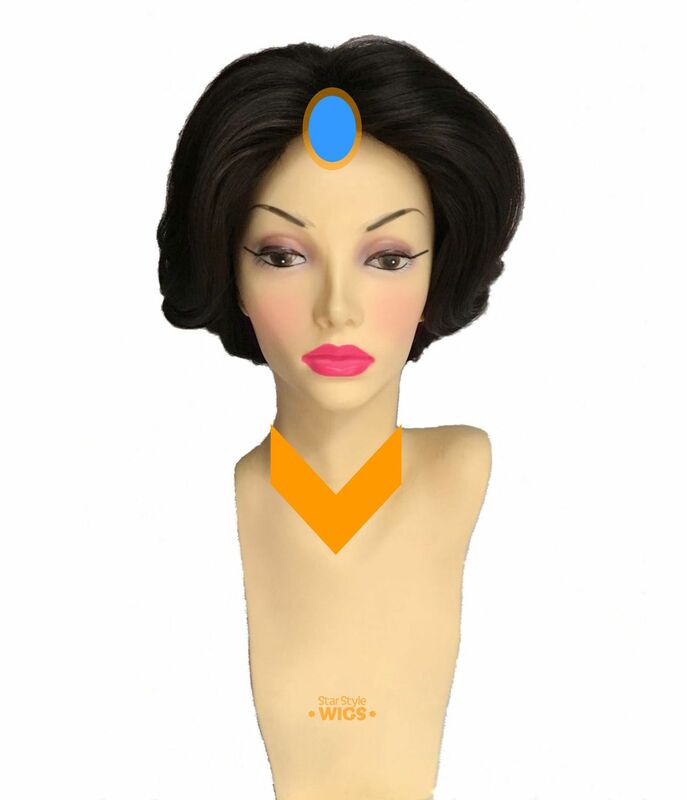 The Arabian Princess Jasmine Wig comes boxed with presentation packaging, wig cap and speciality wig comb.